Thank you for the opportunity to have worked with you on your recent Window Treatment design project. I know that you’re super busy, but I would really appreciate if you could leave me a positive review on either Yelp or Google+. Please begin by answering the questions below to determine the best place for you to leave your review. Please click on the Yelp logo below which will take you directly to Curtains Boutique Yelp page. Look for the red "Write a Review" button at the top of the page. Please assign a star rating and then write a review. Please click on the Google Plus logo below which will take you to the Curtains Boutique listing on Google and look for the "Write a review" button on the right hand side of the page. Please assign a star rating and then write a review. 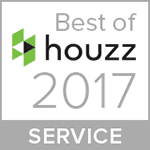 Please click on the Houzz logo below which will take you to the Curtains Boutique listing on Houzz and look for the "Write a review" button on the right hand side of the page. Please assign a star rating and then write a review.